Spanish Classes to Begin week of May 11th with exciting Discounts and Prices!! Tierra opens its classrooms beginning Monday, May 11th for a variety of Spanish class levels and immersion courses. See Course Information and Prices & Policies for more details. Registration is open NOW with a Grand Opening promotion to receive an additional 10% off your purchase of class blocks if payment is received before May 1st. 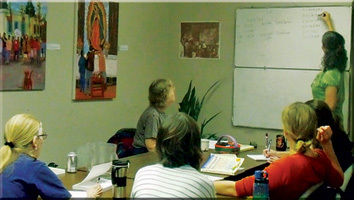 Read more about Spanish Classes to Begin week of May 11th with exciting Discounts and Prices! !